There are two aspects of what Westerners understand of Buddhism that are likely to deter them from pursuing its philosophy and practice. These constitute engaging in a regular meditation practice and foregoing the eating of meat; sitting with themselves quietly and changing their diet. 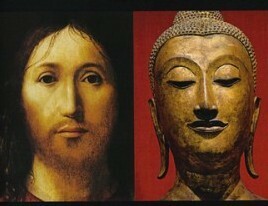 It is one or the other, or both of these reasons that many Westerners give for not wanting to be Buddhists. The question then is can a person be a Buddhist and do neither, meditation or be a vegetarian? In this moment we’ll delve into the diet issue; in the next moment it will be sitting. For a Nikayan Buddhist, one who looks to the earliest written down discourses of the Buddha it is clear that the Buddha allowed the eating of meat by his disciples (in these early discourses disciple is what we now call monks). There are strict stipulations but the intent is clear. These are found in the Jivaka Sutta (Majjhima Nikaya #55). 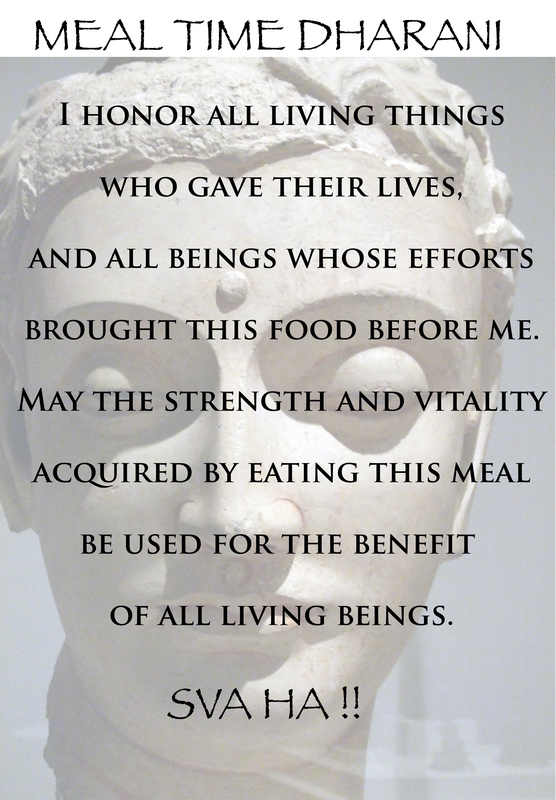 Jivaka, a disciple, asked the Buddha about the consumption of meat. The Buddha’s reply was that meat would be unsuitable if the living animal had been chosen by the disciple, if the living animal had been mistreated or mishandled, if the intent was the animal was slain specifically to feed that monk, if the living thing was frightened, or if knowing any of these things to be true the disciple/monk consumed it anyway. In any of these instances either the consumer, the provider, or both would engender negative karmic consequences. Zen Master D.T. Suzuki in his commentary on the Lankavatara Sutta (an important Mahayana sutra) states that the chapter dealing with eating meat was added in later versions of the sutta and was likely not the authentic words of the Buddha. There is ample evidence in the Pali Nikayas that show that this total rejection of meat as part of the diet was not part of early Buddhist philosophy. Since the very beginning of Buddhism over 2500 years ago, Buddhist monks and nuns have depended on almsfood. They were, and still are, prohibited from growing their own food, storing their own provisions or cooking their own meals. Instead, every morning they would make their day’s meal out of whatever was freely given to them by lay supporters. Whether it was rich food or coarse food, delicious or awful tasting it was to be accepted with gratitude and eaten regarding it as medicine. The Buddha laid down several rules forbidding monks from asking for the food that they liked. As a result, they would receive just the sort of meals that ordinary people ate – and that was often meat. However there are some meats which are specifically prohibited for monks to eat: human meat, for obvious reasons; meat from elephants and horses as these were then considered royal animals; dog meat – as this was considered by ordinary people to be disgusting; and meat from snakes, lions, tigers, panthers, bears and hyenas – because one who had just eaten the flesh of such dangerous jungle animals was thought to give forth such a smell as to draw forth revenge from the same species! The Vinaya, then, is quite clear on this matter. Monks and nuns may eat meat. Even the Buddha ate meat. Unfortunately, meat eating is often seen by westerners as an indulgence on the part of the monks. Nothing could be further from the truth – I was a strict vegetarian for three years before I became a monk. It is recommended that you read the entirety of the article and search out other insights on the web and at your local library. So, to be a Buddhist one doesn’t have to be a vegetarian. The question then arises why are so many Buddhists vegetarian, or at least claim to be? There is a good reason. Some followers of the Mahayana tradition cite, among others, the Brahmajala Sutra, the Brahma’s Net Sutra as a Buddhist text that calls for the abstention of the eating of meat of any kind. This text was written in the 5th century by an unknown author, later translated into Chinese by Kumarajiva. It is considered apocryphal (not accepted as part of the canon) by some, while most Mahayana scholars and monastics hold to the opposite belief, that its words were spoken by the Buddha. This writing offers that abstention from eating meat is part of the broader intent of the first of the Bodhisattva Precepts, Not to kill or encourage others to kill. The idea is that by consuming meat one is requiring others to kill. In the Mahayana version of the Mahaparinirvana Sutra, the Buddha is quoted in a final teaching before his death, “the eating of meat extinguishes the seed of Great Kindness”, that compassion falls away if one eats meat. Later Mahayanist texts like Lankavatara Sutra strongly favor a vegetarian diet. This likely arose through cultural changes as Buddhist monks began to gather in fixed location monasteries and monks no longer performed alms rounds. Before that the Buddha instructed all monks to wander, to visit the towns and villages, to accept the alms they were given, to teach and to examples to others. Once the monastics spent the majority of their time in monasteries the local lay people became responsible for supporting them. This meant that any meats were most likely killed and butchered by the lay people specifically for the monastic community, one of the Five Instances to be avoided in the consumption of meat that the Buddha explains in the Jivaka Sutta. This precipitated a spiritual need to choose a vegetarian diet. The most common reason that a Western Buddhist will give for not eating meat is that it strengthens their compassion and loving-kindness. It may do just that. That the eating of meat does encourage industries that treat animals in cruel ways and kill millions of animals is undeniable and that abstention eases some small part of that suffering cannot be denied. It is a fact though that many Mahayanists around the world do not follow a vegetarian diet. Again, find other views on the web or at your local library concerning Buddhism and vegetarianism. In our own time and culture there are Buddhists, and those of other world-views who are smug vegetarians who negatively judge others for eating meat. In the view of both traditional and contemporary Buddhist thought a monk or lay person who claims spiritual superiority because they are a vegetarian is considered to have an immature practice, one where the ego is still prevalent. In the Frequently Asked Questions section of the Accesstoinsight website in answer to the question: “Do Buddhists have to be vegetarian?”, the answer is that the choice of whether or not to eat meat is a personal choice in Theravada Buddhism. Though many who choose to follow the Middle Path may eventually decline to eat meat out of compassion for animals, vegetarianism is a choice not a commandment. Whichever we choose, herbivore or carnivore or omnivore we must remain mindful of our interconnection with everything around us. As part of our daily practice we must develop mindfulness of those connections and what we eat can be an opportunity to practice. Before each meal take a moment to respect the journey what you are about to eat took to get to you. It isn’t diet that makes, or unmakes a Buddhist. Does meditation? That discussion comes in the next moment. The whole of the human experience is a sequence of causal moments. Some of those moments pass without notice, others never seem to pass. Each moment, no matter the span of time is causally conditioned by the moments before and by the conditions in that very moment. Then that moment conditions the ones beyond that experience. It is up to each of us that walk the Noble Path to be mindful that each moment presents us with an opportunity to take action intended to have wholesome causal effects on others and ourselves. It is up to each of us that walk the Noble Path to take firm hold of this responsibility. “Time swiftly passes by and opportunity is lost.” This verse is from the intentional practice of Sharing the Merit that is recited at the close of meditation and sangha sessions. It is a ritual of intent meant to remind us that the journey from birth-to-death is short and that we must make the most of each moment. The human life span, on average is 80 years. At age 20 that seems a long way off; at 60 the view shortens considerably. The appropriate view isn’t how many years are ahead, it is how do we make each moment count in the pursuit of liberation and human flourishing. 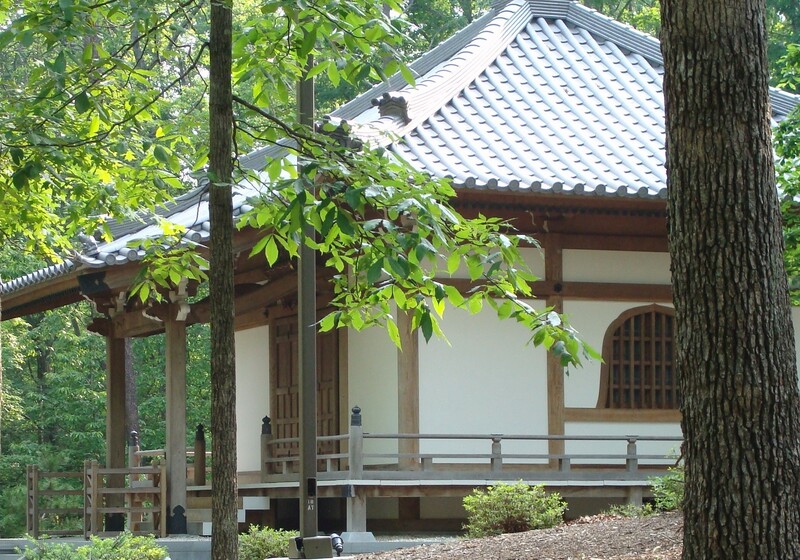 Zen Master Eihei Dogen is revered for the transformation he brought to Japanese Buddhist meditation practices. He also spoke of the utter continuity between being and time; that time is interconnected to, but not interdependent on all phenomena, animate and inanimate. Experiential examples of that interconnectedness is found in human aging, the effects of erosion on earth, and global warming all due in part to the passage of time. Along with time though there is another factor, causal conditioning or dependent origination. A Zen practitioner is instructed to “be in the moment” in meditation practice and in the course of daily life. They train themselves to engage mindfulness and awareness in every moment so that appropriate choices can made in the variety of situations that life encompasses. There is great value in doing so no matter the Buddhist path being walked. What must first be clear is what is a moment anyway. Master Dogen offered a view in order to define “in the moment”. He determined that in each day there are 6,400,099,180 moments, moments that happen in 1/75th of a second. A quick math exercise reveals that an hour equals 266,670,799 moments, a minute equals 4,444,510 moments, a second equals 7407 moments, the time it takes to snap your fingers equals 60 moments. Moments come and go very quickly. There are 6 billion, 400 million, 99 thousand, and 180 moments in each day and Zen practitioners are meant to “be in” each and every one, to maintain a high level of mindfulness and awareness in order to do so. Dogen likely wasn’t expecting others to memorize these numbers be he must have thought that knowing them would bring about the realization that time does swiftly pass by. One could find themselves disconnected from experiences if moments were allowed to pass without one being mindful and aware of their passage. Things change, impermanence happens in each moment. This can be intimidating, the ideal that being in the moment requires mindfulness and awareness 24 hours a day, 7 days a week, 365 days a year in each of the daily 6 billion, 400 million, 99 thousand, 180 moments. Buddhaghosa, an Indian Buddhist scholar of the 5th century CE is most famous for writing the Visuddimagga, a Theravada based commentary on the Tripitaka (the Three Baskets). It included his own ‘theory of moments’ in which he used the textual components of Buddhism to make his point. He wrote, “Herein, the flowing present finds mention in the commentaries, the enduring present in the sutras (discourses). Some say that the thought existing in the momentary present becomes the object of insight.” Buddhaghosa offers that when studying or writing about Buddhist texts that commentaries are the lessons being engaged in the moment they are written so culture, context and experience shape the thoughts of the writer. The discourses or sutras, whether recited from memory or written down are the foundational moments those thoughts arise from; they endure before and beyond the writer. The reader’s thought, dependent on culture, context and time arises in the present moment of that individual and can provide a view of that immediate experience. A past moment transforms into a present moment, and is an immediate moment. How can this theory of moments have value in a contemporary Buddhist practice? With a touch of creative re-description. The enduring present is the experience itself that is viewed without delusion or perception. It is what is actually happening, the reality or dharma. This is what must be appropriately responded to. What we tell ourselves in the midst of a momentary experience, with or without delusion is the flowing present. Language based in reality is more likely to lead to a wholesome response than language intended to sooth the ego or avoid the issue. The thoughts that arise during a momentary experience should be remembered if they lead to wholesome effects, or they can be allowed to fall away when unwholesome effects are the result. This is the insight that Buddhaghosa wrote of. The practitioner must learn from each experience no matter how long the moment lasts. The whole of any experience or moment is causally conditioned by the past and present and conditions the present and the future. Eihei Dogen offers the 1/75th of a second suddenness of a moment. Buddhaghosa offers three aspects of each moment. Two paths arise from these views. One of a minute span of time and another of such complexity in each moment that it would be extremely difficult for the human mind to process a momentary experience within it. A third path can be blazed to engaging moments in a contemporary Buddhist practice. Moments become a more accessible ideal when the reality that a moment isn’t a span of time is engaged. Instead it is viewed as a span of experience that is dependent on moments before it. Sure a moment can happen in the “snap of finger”. The suddenness of an enlightened moment, of satori, when all hindrances fall away and Buddha-element is revealed is such a moment. The gradual training of meditation, character building, practicing of Buddhist ideals such as generosity of spirit and acceptance that may take decades to affect the practitioner and others is also a moment. View moments not as chunks of time, instead as the whole of experiences keeping the insight that within each gradual moment there will be sudden moments. With the acceptance that each moment causally conditions the following moments a practitioner more fully realizes the value of moral thought and ethical action. The thought or action we engage in each moment matters. What we do matters. Cease to do harm so no harm is done. Do good so good is done. Do good for others so they will do good for others. The practice of the bodymind being in each of the 6 billion, 400 million, 99 thousand, and 180 moments that Master Dogen offers is in each day isn’t a pragmatic goal. It is more valuable and useful to practice being mindful and aware of each experience, each situation we find ourselves having to respond to during the day. It isn’t the quantity of moments that is the reality of the lives of human beings; it is the quality of each experience in which we engage the ideals of our practice. Buddhism in the West has a schizophrenic quality to it. There are a host of voices and streams of images clamoring for attention. It isn’t a stretch to say that through the amazing and sometimes intimidating media choices that a person can access nearly a 100% of the Buddhist traditions worldwide. Chinese, Japanese, Korean, Tibetan, Sri Lankan, Thai and others may have temples nearby or their teachings can be found on-line via websites, You Tube and Twitter. Confusion arises as one tries to listen to all the voices and to process all the images. Along the way decisions need to be made as to whose voice is offering what is perceived as needed, and which image the viewer connects with. Choosing a Buddhist tradition to follow is not easy. Unlimited and unrestrained access can be a cause of confusion. There are Western practitioners who choose the Theravada path for example, but find themselves chanting the Heart Sutra and engaging in Vajrayana meditation techniques as elements of their individual practice. The effect of this can be a Buddhist practice without a deep level of commitment . . . or it may be leading to an even deeper commitment when effectiveness of practice is the focus and not tradition. Most in the West begin walking the Noble Path using the strictures of a particular tradition, commonly a tradition that is exotic to Western bodyminds. Time and effort is spent trying to engage practices and ideals that are foreign, ideals that might come into conflict with contemporary Western life. This conflict can be the cause of renewed spiritual searching and the realization that practices arising in other Buddhist traditions are engaged and experienced, at times found to have value in how the practitioner engages the world. Rather than reject them because they are not of the chosen tradition, they become a component of practice. Is this unique? Even a cursory study of Buddhist history and philosophy will reveal that pragmatism played a role in how all Buddhist traditions have arisen. 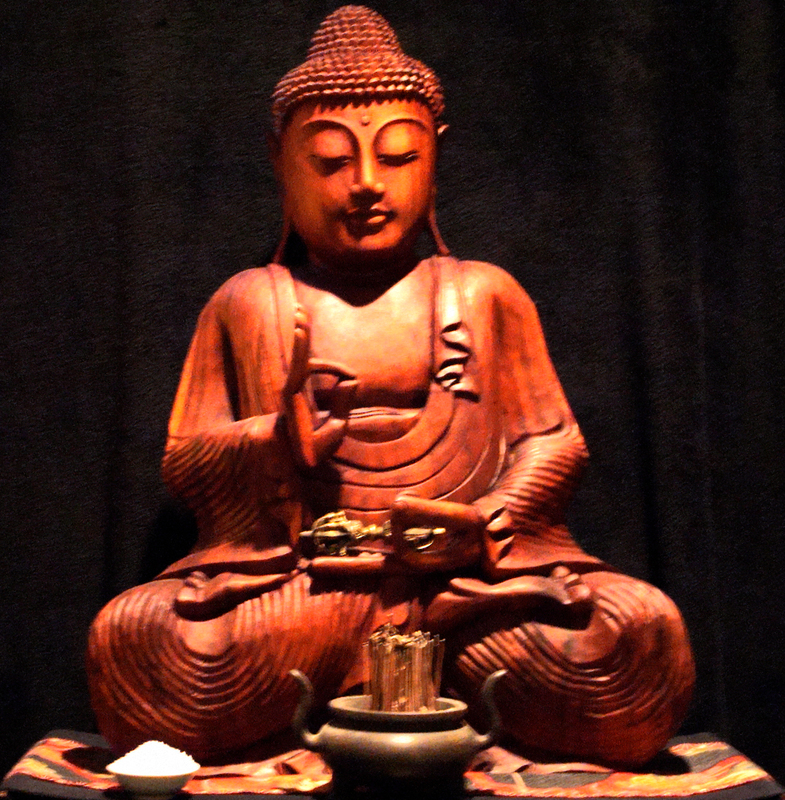 Siddhartha began his own spiritual quest from the perspective of a Hindu practitioner, and after leaving home he studied and practiced with a number of religious and spiritual masters in order to learn how those practices interconnected with human existence. Ideals of the Four Ennobling Realities, impermanence and dependent origination arose from existing religious and spiritual values and the insight Siddhartha gained through experience and introspection. After his death there was a schism resulting in two groups taking Siddhartha’s teachings and adding what they experienced as more effective for their practices, with this came the arising of the Theravada and Mahayana platforms. From King Ashoka sending his children to Sri Lanka as Buddhist emissaries, to Buddhism finding its place in other countries and cultures pragmatism lay behind the choices made. We may love the grass in our pasture but will still stick our head through the fence to nibble other grass. Siddhartha fed on the rich grass of the Hindu beliefs and practices of his culture before he came to experience the grass outside the fence created by the walls, physical, mental and metaphorical that surrounded him. He then experienced the grasses in the pastures of brahmin, ascetics, yogis and Jains. From each of his pastures, as well as the fertile soil of his own bodymind, Siddhartha wove a net of philosophy and practice that he experienced as valuable in the alleviation of suffering, discontent and unsatisfactoriness. Siddhartha realized the value in elements of the practices and philosophies in the existing religious and spiritual systems incorporating them into his newly arising paradigm. It is known that in Siddhartha’s time he, and his teachings were viewed as heretical and dangerous by other religious leaders and that there is no historical or scriptural evidence that Siddhartha held a reverse view. Siddhartha accepted the commitments of others and was offering a new intent that others could experience and then decide whether to engage his new paradigm. This pragmatic approach accepting the value of the commitments of others can lessen the us vs. them attitude that is endemic today, not only in Buddhism. A passage in the Heart Sutra speaks eloquently of the pragmatism of Buddhist philosophy, ‘Oh Sariputra, all dharmas are forms of emptiness.’ The capital D Dharma, the teachings of Siddhartha are only potential until their ideals meet the realities of each human existence. 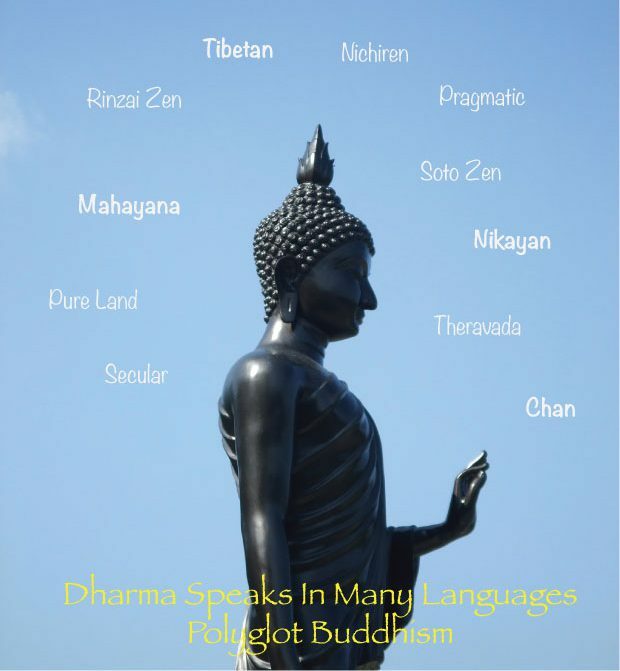 The little d dharma is the realities that shape that potential in each human existence. Each, D and d, causally condition the other across the interconnected and interdependent web of possibilities. Too much focus on the capital D of respective traditions weakens the possibilities that can be realized with a broader view of the dharma as it presents itself during each moment of life. 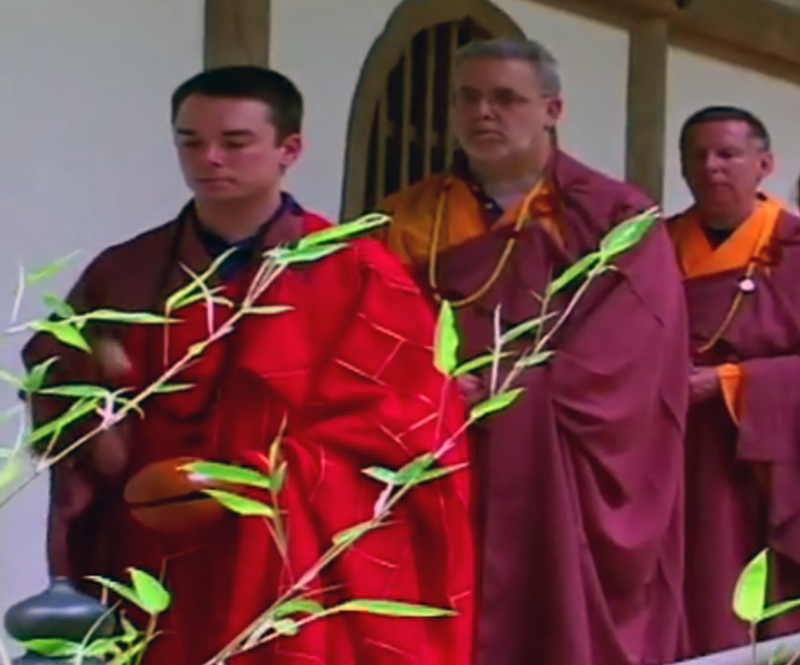 Engaged Dharma is rooted firmly in the soil of the Pragmatic Buddhist teachings of the Venerable Dr. Jim Eubanks (Yong Xiang Shi) who interconnected American Pragmatic philosophy with what he learned from his two major influences, the Venerable Ryugen Fisher (Shen Long Shi) and Professor David Shaner Sensei at Furman University in South Carolina. From Shen Long Shi came the Chan teachings learned from the Venerable Dr. Holmes Welch (Mo Hua Shi) and the Soto Zen practices from Matsuoko Roshi. Professor Shaner Sensei of Furman University offered a deep respect for Japanese cultural and religious practices, along with lessons on pragmatist philosophy. These seeming disparate sources of knowledge and wisdom came together to form the foundation of the Pragmatic Buddhist tradition. It is a ‘tradition’ made up of traditions. 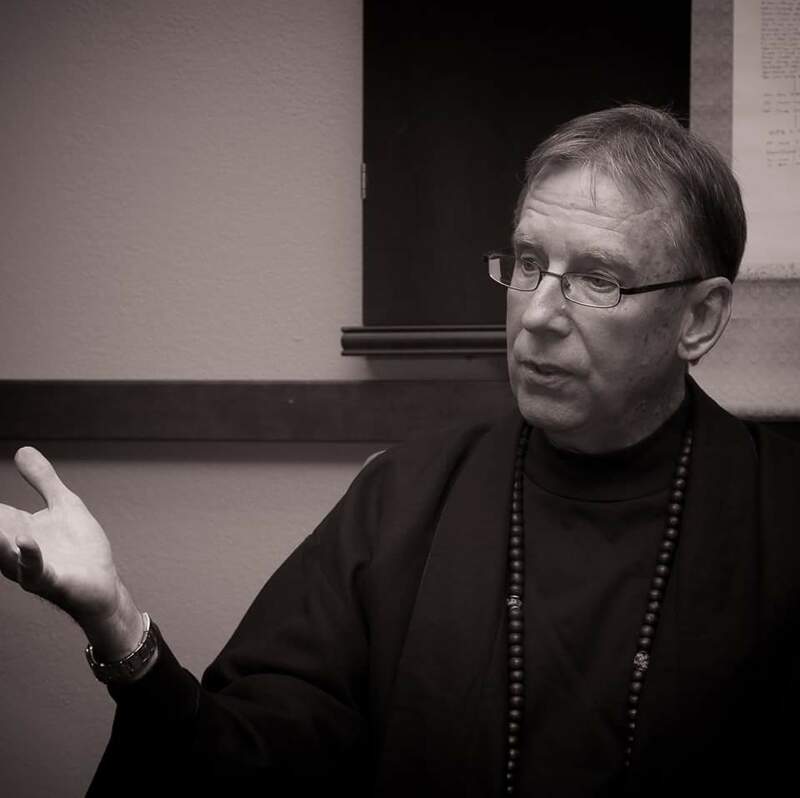 Venerable Dr. Eubanks Sensei often told his students and sangha that they must make a choice of Buddhist traditions and commit fully to the one chosen. He offered that time must be taken to experience those traditions in order to make that choice, but that there was an inherent danger in spending too much time and effort at the “Buddhist buffet”. I have come to the honest realization that Pragmatic Buddhism was, and is causally conditioned by that very buffet. Western Buddhism might come to rely on that very buffet. Spoonfuls of Chan, Soto Zen, Nikayan Buddhism, Mahayana, and Vajrayana meditation practices make up the plate that is Pragmatic Buddhism. Theravada claimed teachings that arise in the Sigalovada Sutra and the Jataka Tale of Prince Vessantara are added as a result of my own experiential verification of their value in a contemporary Western Buddhist practice. The lessons from these scriptural sources and others do not necessarily arise as intended by the claiming tradition. The setting aside of the perceptions that come with tradition can reveal unrealized lessons. Here, along with pragmatism arises the practice of pluralism as offered by Diane Eck and the Harvard Pluralism Project. Add to that the secular practices of Pragmatic and neo-Pragmatic philosophy, humanism, naturalism and mindfulness meditation for the spiritual meal known as Pragmatic Buddhism. Pluralism in intent and action is revealed throughout the history of Buddhism. In its journey it has had, and continues to have profound effects on cultures and peoples while remaining firm in its commitments. This is done without expecting the long held commitments of others to fall away. Siddhartha energetically encountered the commitments of kings, brahmins, yogis, thieves, common people and Jains. He did not offer a philosophy and practice meant to supplant their commitments, instead to enhance them. While later iterations of Buddhism did transition into dogmatic, bordering on evangelistic traditions, in Pragmatic Buddhism this is not viewed as Siddhartha’s intent. His intent was to make people aware of their interconnection and interdependence on all phenomena, not to create divisions. In the West Buddhism is encountering the commitments of the religious beliefs and practices of Christianity, Islam and Judaism most prominently, as well as that of a secular community of avowed atheists and agnostics. Buddhism has had encounters such as these for thousands of years across thousands of miles. What it hasn’t encountered in its past is the deep level of individualism found in the West, particularly in America. What’s in it for me? This is the question a sangha member asked when offered the opportunity to take a class on the precepts to prepare to take those vows. It prompted the response, “Nothing”. Years of study and practice and I now realize the dharma in that answer. Intent is clear in the question, the danger of craving in the reply. There was a lesson in that one word . . . nothing; a lesson for every student and a lesson for every teacher. The question reveals a cultural disposition of individualism. Asked out loud or silently it shows an intent toward self gratification. That intent will lead to discontent and unsatisfactoriness because lasting gratification can never be attained. There will always be something to grasp at just beyond reach. Feelings of gratification will fall away. It is the impermanent nature of the causal universe. There are two ‘mantras’ in Engaged Dharma (EDIG) meant to highlight the means necessary to harness the power of the individual. One mantra illustrates an acceptance of individualism in Western Buddhist thought and an awareness that what is individual effort is naturally societal effort. “We are each unique expressions of the universe. We are not unique in the universe.” In human beings there is difference that is causally conditioned by similarity, and similarity causally conditioned by differences. The other ‘mantra’ is an intentional reminder that whatever action one chooses to make, “What we do matters”. Actions taken for purely individual benefit will have effect beyond the individual, known and unknown. Whatever one does, with or without intent has ripples of effect that go beyond the individual performing the act, this is karma as human physics in action The ideal of ultimate personal transformation meets the reality of the causal process. Put the two mantras together, “We are each unique expressions of the universe. We are not unique in the universe. What we do matters”. There is acceptance of individuality, awareness that the individual is a part of something larger, and the actions we take have effect on a broad scale. There is the path of arhat seeking individual knowledge and transformation, and the path of the bodhisattva seeking transformative social engagement. It is a pragmatic way of viewing human existence. Initial steps on the Noble Path are taken by an individual. The reason for those steps is unique to each person yet that reason can be related to by all other human beings. Regardless of whether it is illness, loss, confusion, joy, curiosity or spiritual seeking, there will be others whose journey arose from similar circumstances. Siddhartha did not ask for blind faith. He offered that the value of his teachings should be verified through experience engaging them as how one interacts with the universe. In this way Siddhartha harnessed the power of the individual to achieve positive transformation and to engage the causal universe in wholesome ways. He accepted the value of the individual, and of their potential for social impact. Buddhism in the West must also harness the power of the individual. In each person is a reservoir of imagination, skills, gifts, compassion and the Buddha-element. These are reservoirs that can be tapped for the benefit of all. It might begin with the ideal of what’s in it for me. What does Buddhist philosophy and practice offer that will improve my situation? A unique expression will require a unique response dependent on what need is perceived. Gradually like the ocean floor slopes into the depths a practitioner must be guided to the gradual realization that while expression is unique, suffering in some form is not. Awareness of the effects of the practitioners intent and action beyond themselves must be developed and nurtured so the realization that whatever the thought or action there are causal consequences. In a culture where individual choice is experienced as a human right the host of voices and streams of images available has value. Westerners, and particularly Americans need to develop the ability to sift through the choices so that productive and effective philosophies and practices can be discovered and engaged in. Western Buddhism must harness the power of the individual to enact positive social transformation. There is value in a commitment to a particular Buddhist tradition as long as one maintains an open-heart and open-mind. Not all the philosophies and practices of any one tradition may be effective for a contemporary Western practitioner, while all traditions have philosophies and practices that can be effective. Awareness of them requires that labels and judgements be set aside so that experience, not perception is how commitments develop. There are voices in the West that proclaim the value of a religiously oriented Buddhism and voices that proclaim the value of a secular approach. Perhaps if those voices went silent for a moment the realization that the Western Buddhist model that arises will be a pragmatic combination of those two ideals, and more. In Engaged Dharma, a Pragmatic Buddhist practice there is already that silence.